Learn to take your business to the next level with this 13 session course. 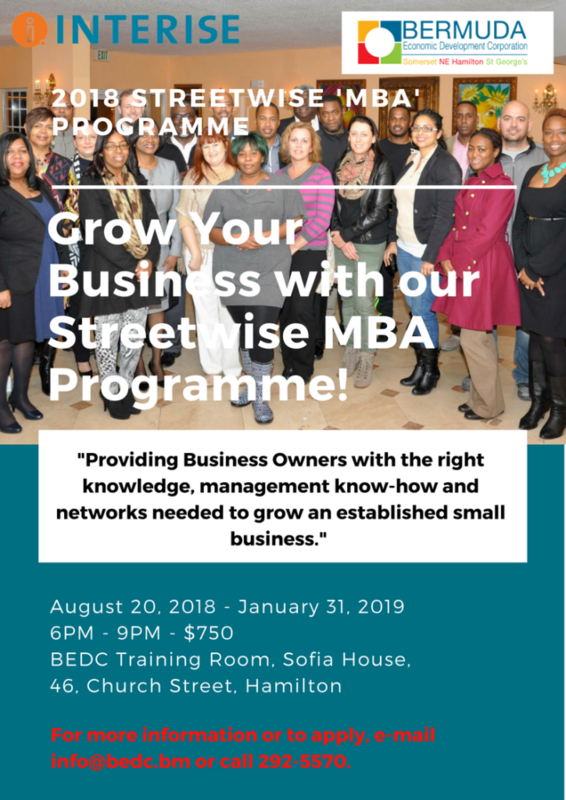 Facilitated by Jamillah Lodge, BEDC’s Information, Education and Communications Officer; and Ray Jones CPA, BEDC’s Finance Director – the programme is an innovative award-winning scheme designed specifically for established small and medium size business owners, as well as non-profit managers. It is a great way to focus your goals, maximize your time, and make a big leap forward. At the end of the programme, participants walk away with a customized Strategic Growth Action Plan, which identifies the action steps required to achieve their business and organization’s goals. Through this unique training opportunity, we provide participants with the know-how, networks and resources to grow successful businesses. This training is geared towards enterprises that have existed for at least three years, have annual revenues below $5 million and have at least one employee, besides the owner. Dates: August 20, 2018 – January 31, 2019. Are you the 100% owner?